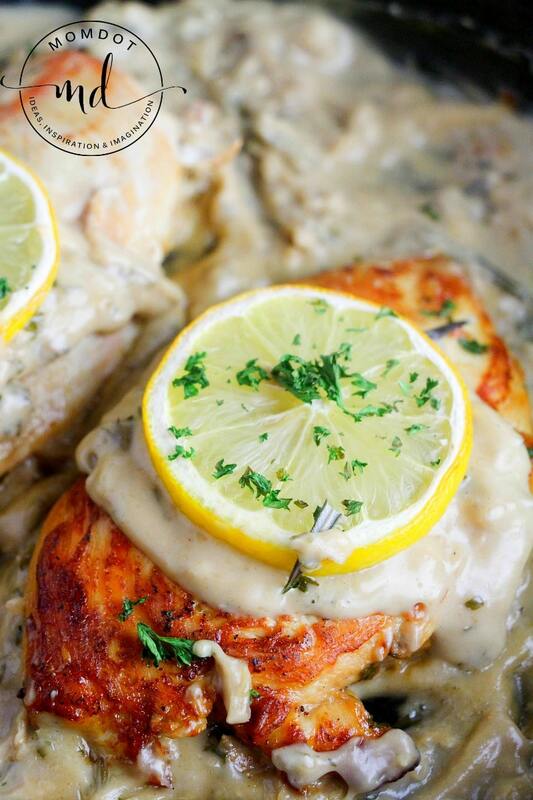 Home » Recipes » Chicken » “Ohmygoshthisissogood” Chicken Breast Recipe! I am not sure about your house, but there are times I want a home cooked meal without the 19 ingredient pile up that takes down my kitchen for 3 hours. 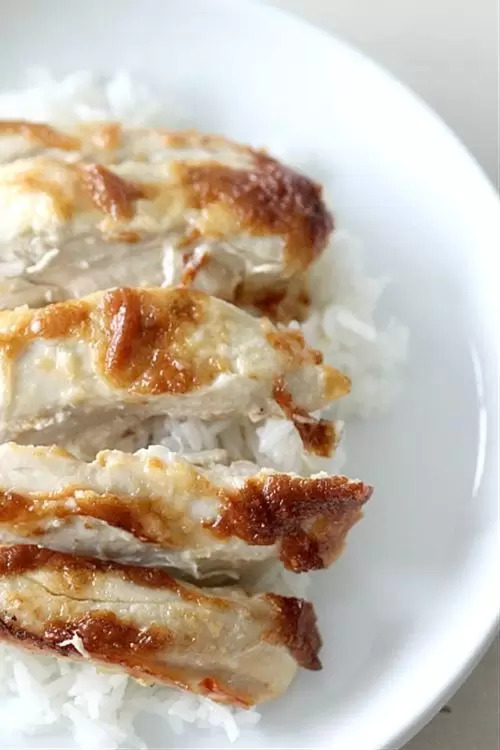 Sometimes I want to be able to quickly get in, get out, and eat without all the fuss and muss with my chicken breast recipes….and without opening a box. This is aptly named that as every time I cook this chicken my husband says “this is really good, what’s in it?” And every time I answer that there isn’t much to it or in it, but it’s delicious nonetheless. Simple, easy, that is exactly what I like in my recipes. Ya feel me? PRO TIP: Every time I am working with raw chicken, I honestly get grossed out. We all know how sick it can make someone to be exposed to what it leaves behind. I love these Kitchen Gizmos– its a cutting board that takes away the worry! Standard cutting boards get scratches which become a breeding ground for bacteria. This cutting board is extremely scratch-resistant, preventing any bacteria from building up, has two sides, and a juice catcher so your defrosted chicken doesn’t leak to the counter. Here’s the thing…the key to this perfect chicken comes down to just two ingredients: Mayo and Parmesan. No breading, no eggs, no crunched up peanuts or cereal for the shell. Really! You simply mix up, apply, and voila! And with a family that eats chicken breast recipes 6 out of 7 days of the week (my daughter hates red meat), having something that everyone is ready to chow down on says a lot! NEW: NOW WITH THE BEST CHICKEN BREAST RECIPE VIDEO TUTORIAL~! Of course if you want extra flavoring, do not hold back. While it doesn’t need anything extra, we like to add some fresh garlic. Mix up all your awesome ingredients…its not that many but trust me! High Five, Mom! You created chicken perfection. "Ohmygoshthisissogood" Baked Chicken Breast Recipe! 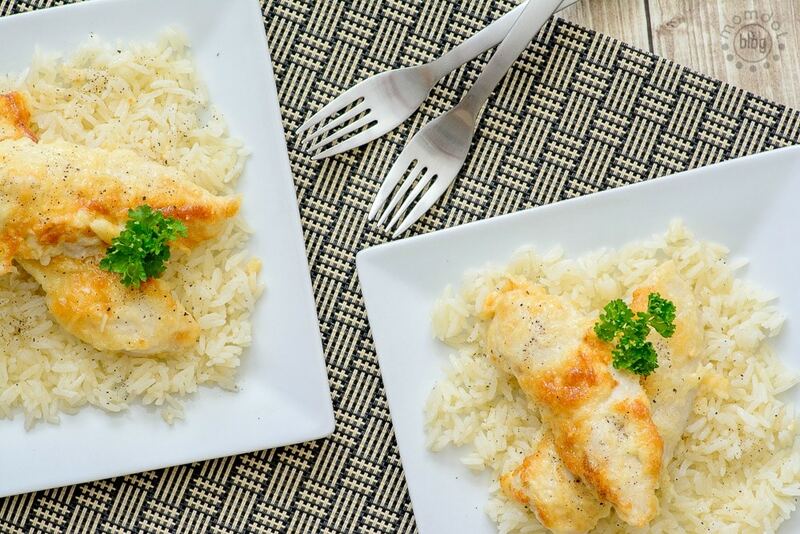 Easiest baked chicken breast recipe you will EVER make. Five stars! 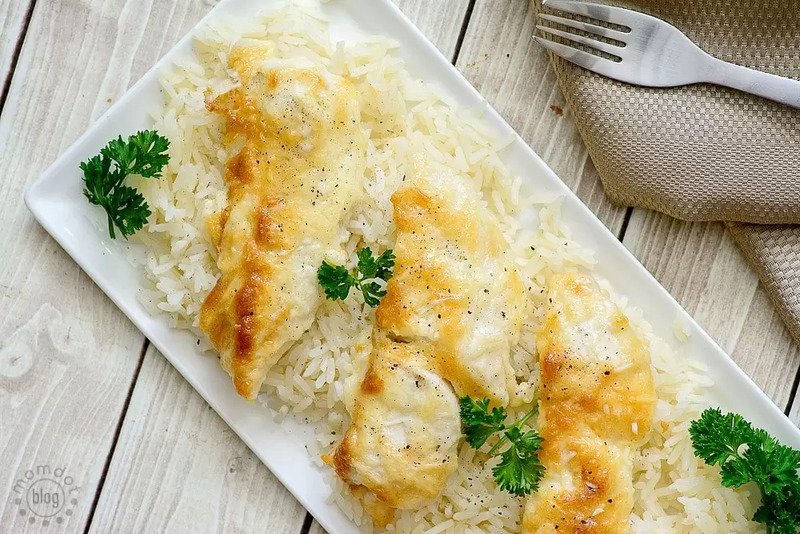 Looking for more chicken recipes for your family? Make sure you PIN THESE before you go! Actually, just the opposite..the browning on it is the mayo, not the chicken. That comment made me giggle! I am calorie counting and was wondering how many calories were in this dish do you think? 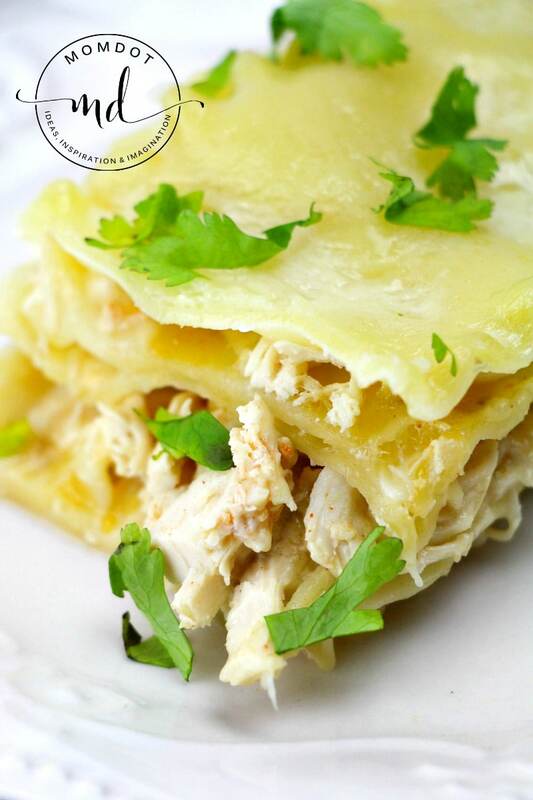 I”ve made this for years and always use Miracle Whip!! Tastes great!!! This was the best chicken I’ve ever made. LOVE this recipe! Making this now!! Needed something quick and easy and came across your recipe. Thank you for sharing! Can’t wait to try it. 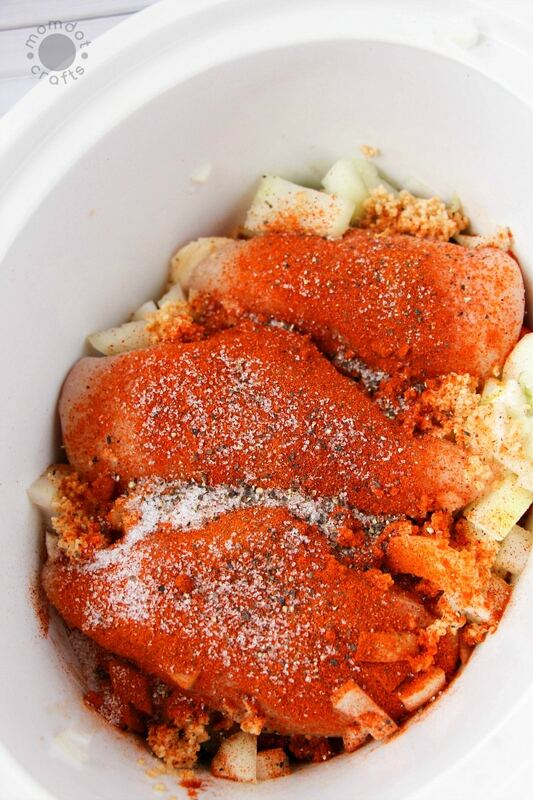 Do you rub this on both sides of the chicken? Thank you! I’m going to try these tonight. Hi! I was just wondering how many chicken tenders you use for this? I usually use 8 in our family. I’m going to make this tonight looks great. I was wondering if anyone knows how many calories it is? I used a fresh clove of crushed garlic and I added crumbled turkey bacon to the mayo mix. I’m cooking this now. Smells delicious! Made this tonight, so easy to make and SO GOOD to eat. is that minced garlic or garlic salt/powder? This is a family favorite. Everyone loves it. In fact we are visiting family right now and I’m making this for dinner tonight. hi there! This looks delicious! Can u tell me how many pounds of chicken to use? Also…when u say layer it on do u mean on top only? It doesn’t lay on some mayo mixture for the bottom or u don’t slather any on the bottom? 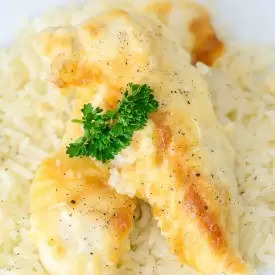 I think I’m a little confused because in the picture the mayo/cheese is in the bottom of the dish…so don’t do that and just put on the top of the chicken? Thx…looks delicious and can’t wait to make this! Oh! I see! 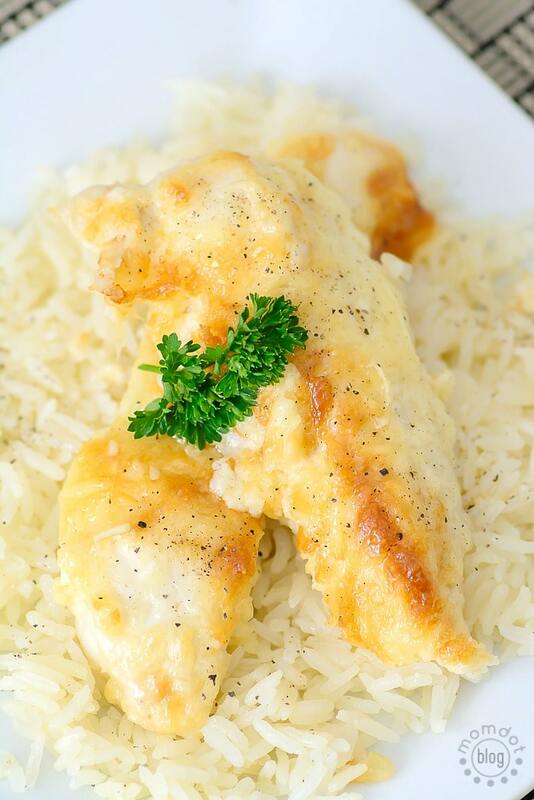 I looked at the pic again…it looks like the cheese/mayo is on the bottom of the pan but the chicken is under it! Sorry…my mistake! Do you do both sides of it? Looks like it in the picture but I’m not sure. Looks delicious! I do the exact same thing with fish! Red snapper fillets, in particular. I coat with mayo, sprinkle with lemon juice, some Tony Chachere’s seasoning, then top with grated Parmesan! Made this tonite for dinner and the family ate it all up. It was great! It’s in the oven right now. Can’t wait to try it. I made this for dinner last week and it is SO GOOOOOD!!!! It turned out exactly like the picture, brown and bubbly. My only recommendation is to coat both sides with the mixture. Double the taste! I eyeballed the ingredient amounts and put it on a chicken breast I cut into 1 cm thick slices. I put the sauce on the wider side of the chicken breast pieces. Baked it in an 8×8 for 25 minutes. Turned out very nicely. Thanks for the idea! You can also make this lower fat by subbing the mayo with Greek Yogurt. I’ve been doing this for years!! Definitely delish! My husband LOVED this!!! I added some cayenne pepper for some heat and color and it was AMAZING!!! Wow – I never would have thought to do that. I’m all about easy though – we’ll definitely be trying this one! Thanks for linking it up with us at Foodie Fridays! Ohmygoshihavetotrythis 😉 Sometimes less is better. Love that it doesn’t take much to make and sounds like I would love it! It really looks yummy. Can’t wait to try it. I love this recipe! Delish! I can imagine that this is so good – and I love that it is so easy, that’s key for me! It’s a little similar to the tilapia I made the other day, and we all loved it. I’ll be sure to try this one out. MMMMM this sounds so good! I made something similar once, and I was surprised how moist the chicken was if you coat it in mayo. I am going to try this next week! Thanks for sharing such an easy chicken recipe. I can’t wait to try this! I love this recipe! We sprinkle Italian bread crumbs over the top but the mayo and parm is so good! Especially over spaghetti and sauce. One of my favorites. And the mayo makes the chicken really tender but it has to be Best Foods. It’s just a thing of mine. Shut up.. This is so easy and looks insanely good! This looks yummy! I’ve tried some of the Hellmann’s recipes before and they have always come out good & moist. I buy the organic chicken too. Not just to avoid the chemicals and such, but because the regular chicken looks all awful and grainy most of the time… the sort of chicken people used to stew. I would of never thought to mix the two I certainly will give it a try. Thanks for the idea. I never would have thought those two things would make a chicken look so purty! And 6 out of 7 nights, y’all eat chicken? Whoa. Charlotte wont eat red meat (or honestly any meat other than chicken). And I buy all organic so trust me, it gets expensive AND i have to make new stuff constantly. The color on that is GORGEOUS! I love easy recipes like this – – thanks, Trisha!